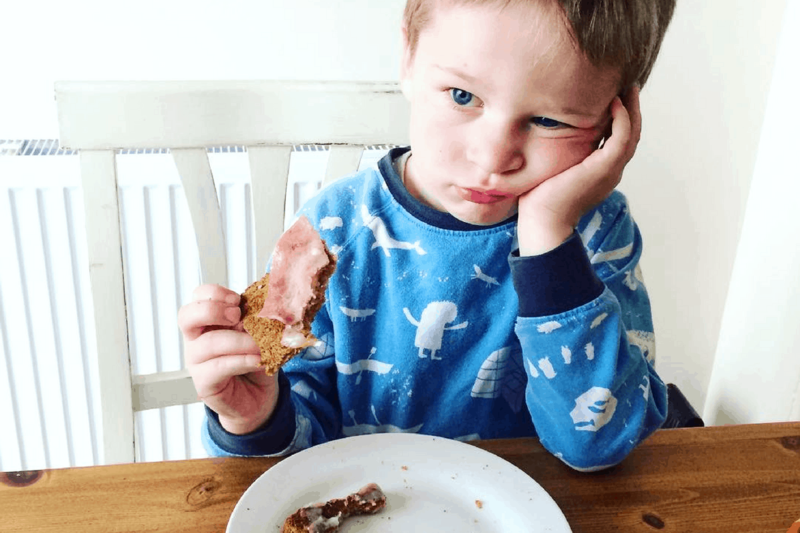 Home All Posts	What If You Were Told Your Child Is ‘Not Cute Enough’ For Instagram? A platform of pixels and images, it is fast becoming my new addiction. Instagram offers a digital space to microblog and immerse into the colourful worlds of others, in a very different medium to WordPress. Perhaps a picture really is worth 1000 words. Also, I am nosey and like peering through windows into other people’s Lark-filtered lives. Once upon a time before motherhood (in the ‘other’ hood, the ‘other’ me) I was an artist. A slapdash part-time one. The world was tones, shades and pictorial division. Canvas and clay. Then life became forever entangled with another’s. My son’s. I am not the only one to feel part of themselves went MIA when they became a mother. Scrolling through my phone and its multitude of snapshots I have appreciate the skill in parental photography. Enjoyment. I found a thread of me and followed it. What is it about children and pictures? The perspective. Hope, joy and curiosity. Adults can pout and pose and filter their ‘crow’s feet’ away but children’s photography is much rawer, unconsidered. Muddy. I hate pictures of your kid on Facebook. I stopped being a #sharent on F’book as my friends were politely tiring of a multitude of pictures of my firstborn. Of course they are excited for you, but all babies look like potatoes to them. Half a million children are born every day. That’s a lot of little faces clogging feeds. So, Instagram was birthed to share imagery; of…everything. To celebrate frothy coffee in white china cups, sunsets and sunrise. A mate has an account for her goldfish. The desire to document our lives is nothing new. Pre blogger I posted on Instagram as my way of saying, ‘we were here.’ We laughed in the mud and played. It is the same now. Capturing our families’ favourite memories, enthusiasms, and my son’s idiosyncrasies. The way he looked in his first suit which was too long in the sleeves. Runny noses and skimmed knees. ‘Your child is not cute enough for Instagram’. Said a someone to me last week. What does it take to be successful on Instagram? There are a plethora of how to’s and tips to grow your accounts audience. They involve algorithms and other wizardry I don’t fully understand. The conversation cornered, veered and concluded with the supposition that pro #pInstagramers need a big eyed, Joules clad, curly haired baby. Its is what’s brands and PR’s are looking for. And, that my gangly, almost six year old would not appeal to an ‘interested’ following. These are our children, not a currency or a marketing tool. He is not my selling point. My Instagram is my own. There is no perfect child, the same as there is no perfect parent. They suggested I would be offended if he was considered cute. What? Because a word would somehow emasculate him? He is five. Balls to that, my boy is beautiful. Pretty. Likes to wear a tutu and play with dolls. I don’t want him defined as cute alone because that limits him. Hs is also intelligent, funny, full of potential #notjustcute. The photos I share on Instagram are not to celebrate him aesthetically but to represent him for everything he is; a child, occasionally wild, chocolate covered, angry. Let’s show our children for everything amazing they are. Tell them, and encourage them. Follow me. Have you got any favourite accounts on Instagram? What do you enjoy posting? My son’s 6 and like yours is still cute, adorable, funny, handsome and everything else beyond. Ok, so mine might not get as many like as my flower pictures, but I’d much rather look at 6 year olds than babies. But then I’m not a baby person. I like IG for sharing my photography and challenging myself to take better photos. I love looking at my feed, and similar feeds. But I don’t live by a beach, don’t get photos of him in sunsets, so I’m never going to be a big IGer. But IG is for everyone, and I don’t want mine full of sponsored images, so I’m happy with what it is. Eeek i can’t believe someone would say that! I literally signed up to Instagram last night so i have no idea what I’m doing, but this comment sounds horrid. Errrrr not quite sure what to say about this! Who actually says that about someones child? You post what you want. Like you say it is your Instagram! If they don’t like it they don’t have to look at it. People are odd! I can’t believe someone actually told you that. Have they no shame? All parents realise that we see our own children completely differently to most people anyway. And why do the kids have to be ‘cute’ – can’t they just be real? He looks full of life! Who cares what any of them look like, let’s celebrate the funny, kind, brave, inquisitive, joyful creatures they are. Social media is a crazy place, blogging it pretty crazy as well. It’s sad to think that some people / brands think you need designer kids to be successful – bit like being super skinny to be a model I suppose. The whole point of a parenting blog is that it’s real life and real families that people follow for its authenticity, not its glossy image – that’s called advertising!